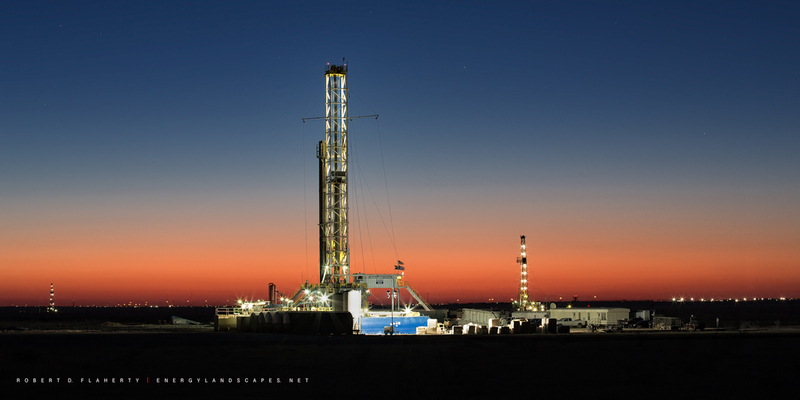 Drilling Rig and cold January sunset before an impending winter storm near Midland Texas. Oil and Gas Photography for Fine Art By Robert D. Flaherty. Photo © copyright by Robert D. Flaherty. 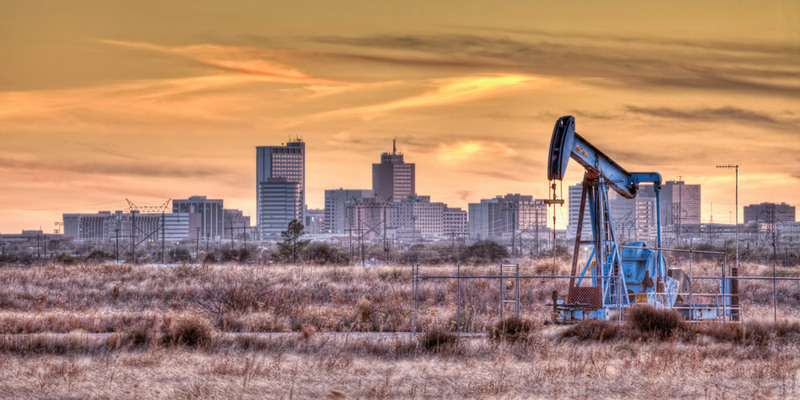 The boom continues in The Permian Basin and Midland Texas. 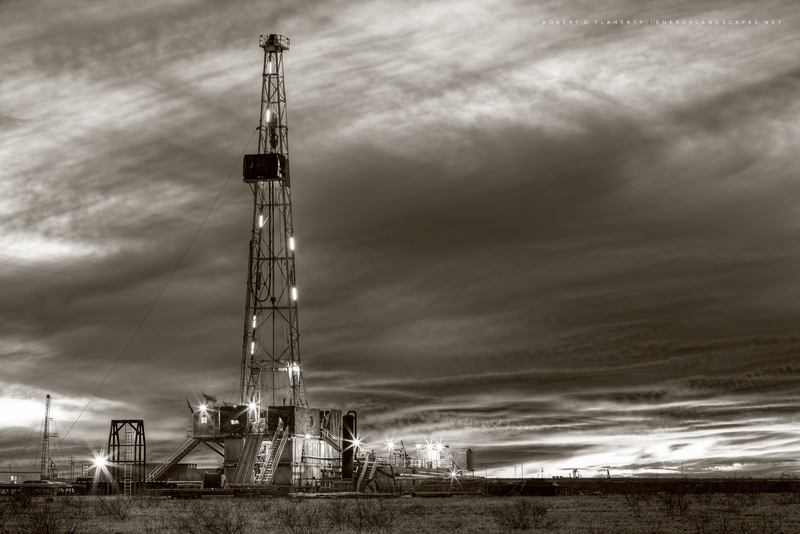 This is the sepia version and 2:1 panoramic of "Feel The Energy" featuring The City of Midland Texas new logo and H&P Drilling in Western Midland County Texas. The photograph was taken from 70 feet above ground level and is suitable for prints up 40x80". Fine Art Oil & Gas Photography by Robert D. Flaherty. Photo © copyright by Robert D. Flaherty. The boom continues in The Permian Basin and Midland Texas. 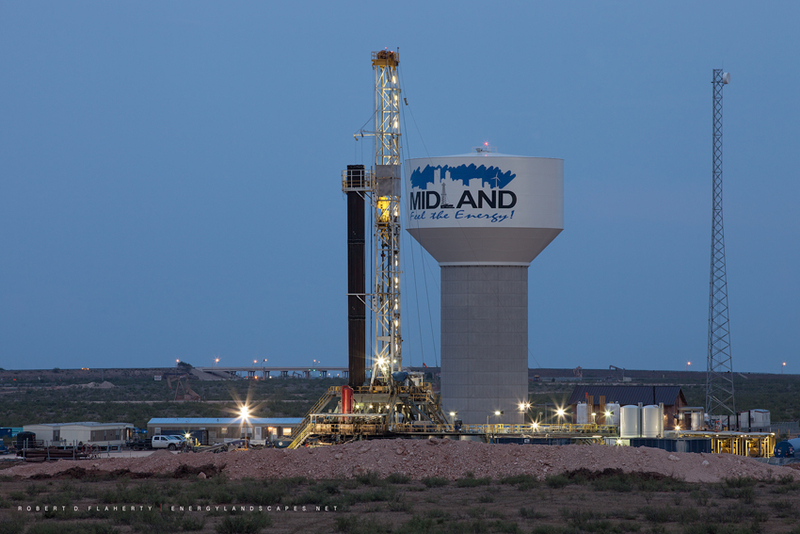 This is the color version and 2:1 panoramic of "Feel The Energy" featuring The City of Midland Texas new logo and H&P Drilling in Western Midland County Texas. The photograph was taken from 70 feet above ground level and is suitable for prints up 40x80". Fine Art Oil & Gas Photography by Robert D. Flaherty. Photo © copyright by Robert D. Flaherty. The boom continues in The Permian Basin and Midland Texas. This is the color version of "Feel The Energy" featuring The City of Midland Texas new logo and H&P Drilling in Western Midland County Texas. The photograph is an 80 megapixel medium format print taken from 70 feet above ground level and is suitable for very large prints. Photo © copyright by Robert D. Flaherty. 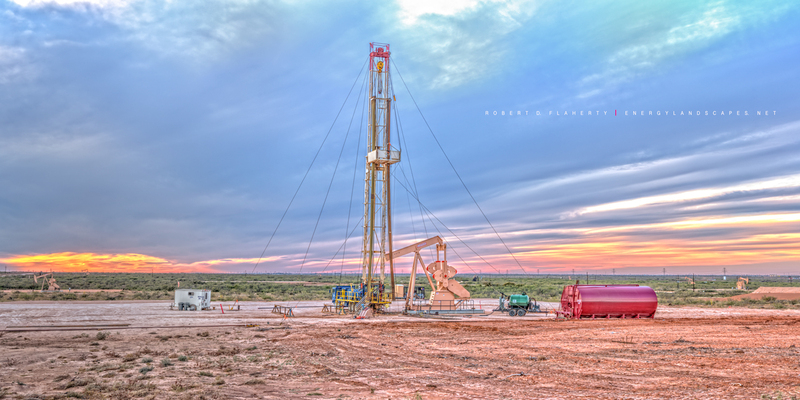 H&P Drilling Rig 393 with a unique copper colored sunrise in Western Midland County Texas. This is a high resolution 80 megapixel Medium Format print which can be printed up 40 feet in length. Fine Art Canvas prints are exceptional at 40x80". Photo © copyright by Robert D. Flaherty. 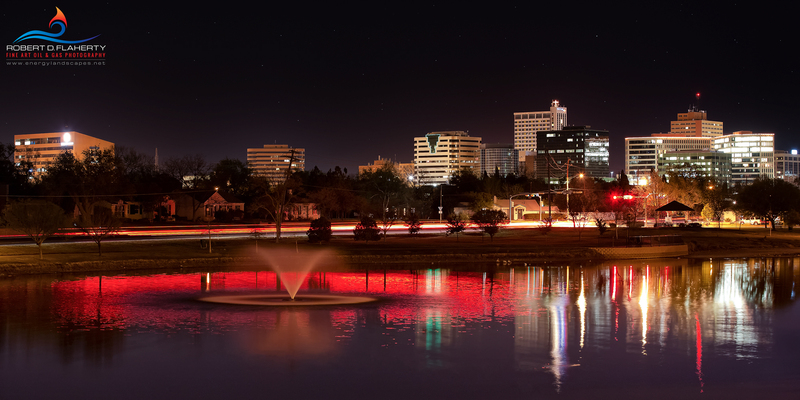 The night skyline of Midland Texas dressed in red. Fine Art Oil & Gas Photography by Robert D. Flaherty. Photo © copyright by Robert D. Flaherty. Pumpjack at sunset north of Midland Texas In late fall. Photo © copyright by Robert D. Flaherty.